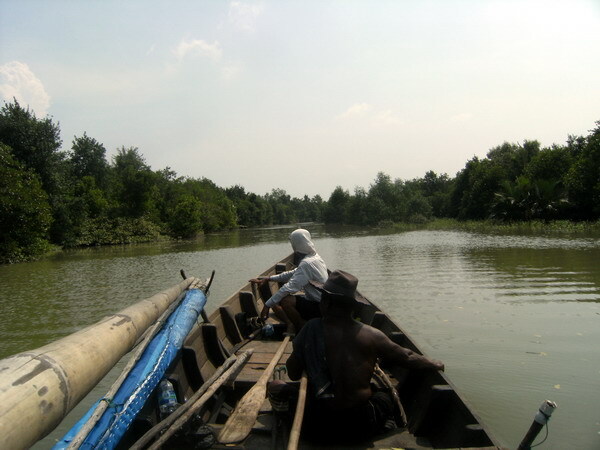 On July 21, 2011, our team took a route around of 42.3 km transect using a boat to monitor the condition of nesting beaches of Tuntong Laut – local name for Painted Terrapin (B.borneoensis) – and the surrounding mangroves. The purposes of this activity are: look at the recent condition of nesting beaches compared to last year’s conditions; find the best location in which plant Berembang (Sonneratia sp.) 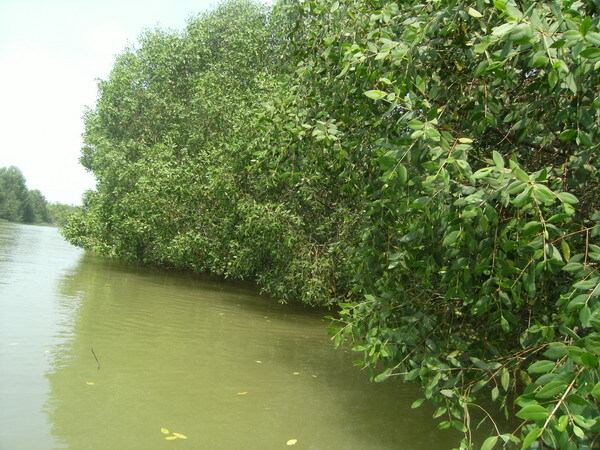 – the main feed for Tuntong Laut – in the area; see the area where local people still use (logging) of mangrove wood . Team members were Joko Guntoro (principal investigator of initiative), Yusriyono (secretary of Lembaga Satucita and also acting as public awareness officer), Datuk Laksamana (traditional leader for sea management), Abdul Hakim (local volunteer in village Sungai Kurok III), Atok (boatman). Monitoring trip started at around 09:00 am until 20:00 pm. 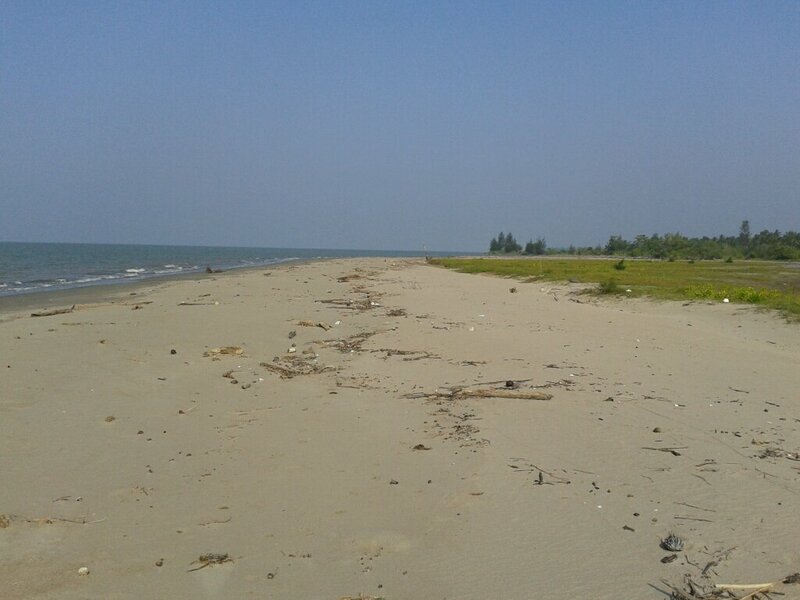 Monitoring was carried out through four routes: 1) Village Sungai Kurok III – Kuala Berango nesting beaches; 2) Kuala Berango Beach – Beach Pusong Cium; 3) Beach Pusong Cium – Kuala Peunaga; 4) Kuala Peunaga – Kuala Genting nesting beach. 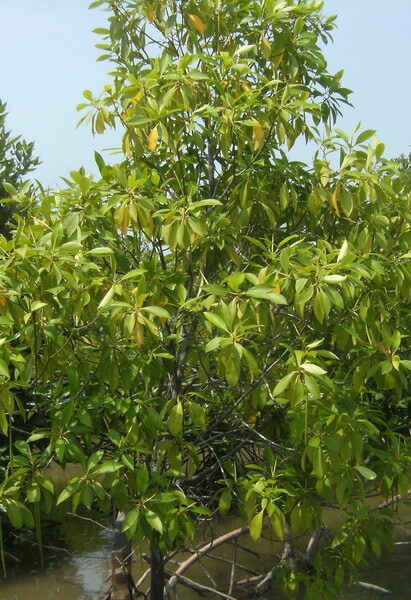 The main vegetations found in the whole route are Rhizophora spp., Avicenia sp., Sonneratia sp., nypa sp. 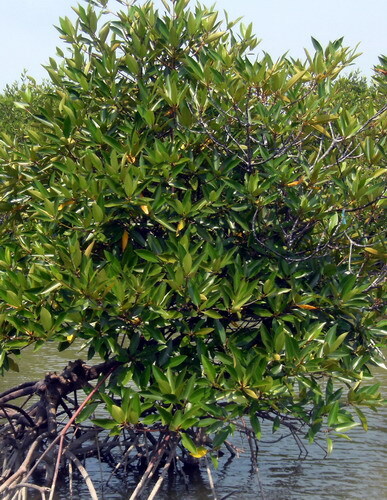 At least eight different types of mangroves grow here, maybe even more than that. Kuala Peunaga area is dominated by Sonneratia sp. 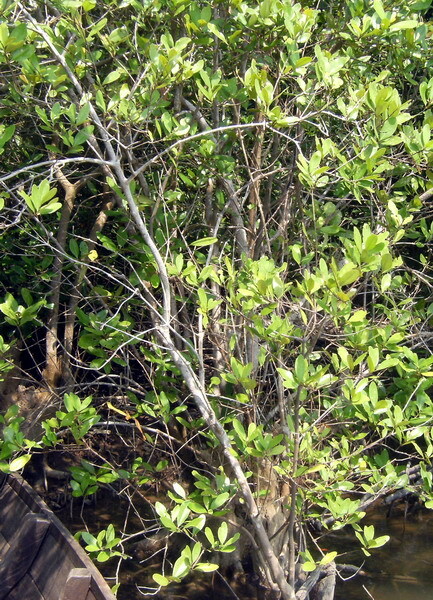 as riverbank vegetation and at some other point are nypa sp. and sonneratia sp. Ideal area for B.borneoensis to living and breeding due to sufficient availability of food resources than in other rivers. Perhaps, this is also makes Kuala Peunaga (the river) become a place where Tuntong often caught incidentally by fishermen than in other rivers. The animals were identified during monitoring such as great hornbill , Halcyon smyrnensis, Haliastur indus, Egretta alba, Great-billed Heron (Ardea Sumatrana), Geopelia striata, Starling (Acridotheres javanicus), Thomas leaf monkey, Varanus sp, Mangrove crab (Scylla serrate), Blue swimming crab (Portunus pelagicus), Shrimp (Penaeus monodon), Red snapper, Groper fish (Chromileptes altivelis), Eel-tailed catfish (Euristhmus microceps) and various species of fish. In general, the monitoring found some findings. First, nesting beaches are not experiencing serious coastal erosion in general. The distance from vegetation to the water is relatively the same compared to the year 2010, for example Kuala Genting which has a width of the beach about 23 meters in last year to about 22 meters at this time. As for the Kuala Berango, comparison can not be calculated because that was the first measurement. Kuala Berango first recorded as nesting beach since the last nesting season – October 2010 until February 2011. The width of these beaches, although sometimes very narrow like in Kuala Berango are still allowing females to lay eggs in nesting seasons to come. Secondly, the condition of the beach is relatively clean, except from natural waste such as wood. Checking the nesting beach cleanliness is important because these beaches are located around of the estuary of the Tamiang river. Tamiang river is a river that through the town of Kuala Simpang, town of Seruway and other densely populated locations that have the potential to bring the volume of inorganic waste in large quantities. Especially in case of heavy rains in mountainous areas, the garbage from the town of Kuala Simpang and Seruway will accumulate in the estuary and beyond. Even today, around the estuary has formed a new small land due to sediment piles of garbage, rubbish, especially caused by the flood that drowned town of Kuala Simpang and several other towns in Aceh Tamiang District in 2006.